Mophead hydrangeas, drift roses, ferns, hostas and other plants make wonderful container plantings. Simply leave the plant in the nursery pot (great it you could upsize the nursery pot one size larger) and just put the nursery pot with the plant in it inside the decorative pot. For the price of a hanging basket, you can invest in a showstopper container plant that gives you color summer through fall, plus you can enjoy it again next year. 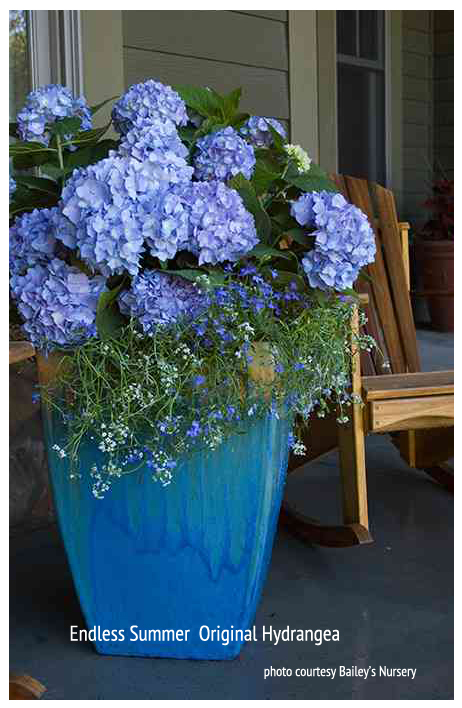 Imagine a blue moped hydrangea or a red drift rose in a fancy pot by your front door. Stunning! In mid-fall, plant it in the ground. If it is a hydrangea or a rose, cut it back to about 15 inches and mulch it. You can also try overwintering it in your garage or basement. Stop in and we will help you choose a plant that fits the site. 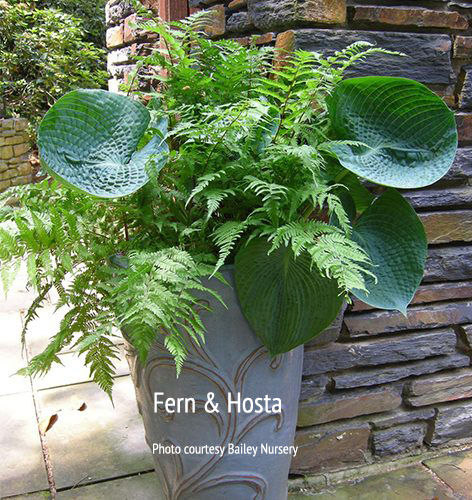 We will give you a hand-out on how to overwinter container plants. Note: We do not warranty plants that are not planted in the ground.